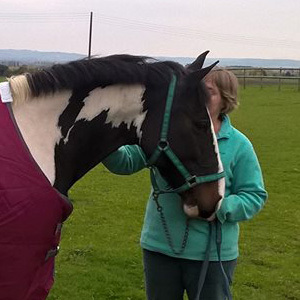 Medi-K, First Aid Training for Horse Riders, is not your average first aid company, founded by an experienced paramedic & horse rider Kay Patterson, all training offered is nationally recognised & certificated. We attend yards and riding establishments, don’t mind getting dirty, thoroughly enjoy the horsey chatter & we most importantly make first aid fun. Oh, and we work around you and your horses schedules. Kay adds that if someone is with a person that has an accident they tend to panic because they don’t know what to do. And often it’s what not to do that’s the most important thing to learn. “Certain things that someone might instinctively do can cause more damage to the casualty,” says Kay. “For example, pulling them to their feet and telling them to get back on the horse or taking off someone’s hat when they may have neck damage. Taking a first-aid course will leave you with the confidence of knowing what to do should a situation arise – and it could lead to you saving someone’s life. Kay was an ambulance technician and an advanced paramedic before setting up her own business training riders in first-aid skills. 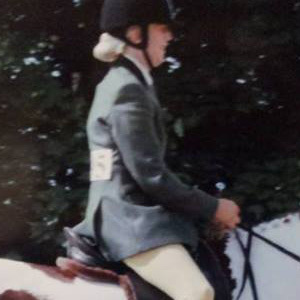 She has been a keen rider for 25 years and until recently owned a 16.1hh Cremello mare. 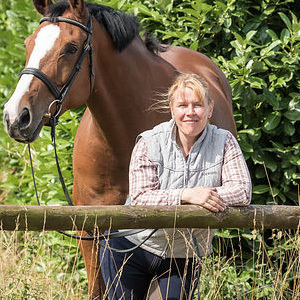 As a paramedic attending incidents involving horse riders, Kay Patterson found herself repeatedly hearing the same phrase from bystanders: "I just didn’t know what to do." This prompted her to set up her own business offering training in first aid skills, to equip anyone involved in horses with the knowledge of what to do if an accident happens. 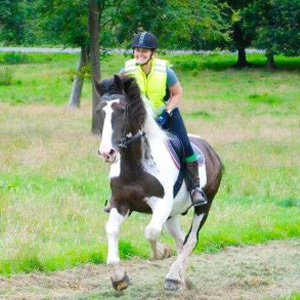 According to Kay, although most people expect accidents to occur at competitions, most of her equine-related call outs as a paramedic were to riders who had suffered a fall out hacking. "We'd go out to people whose horse had spooked and they’d fallen, or riders who had decided to pop a log on a forest ride and come off," she says. 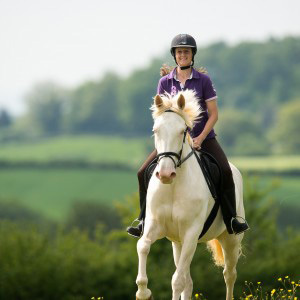 "Everyday riding can result in all sorts of dramas which makes it so important for riders and horse owners – and friends and relatives of riders – to be educated in first aid." Credibility is all-important within the Equine sector. 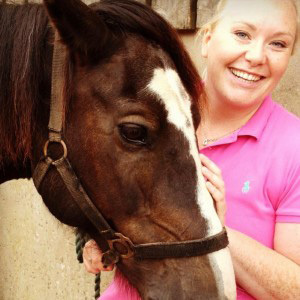 Kay has spent her life with horses, and is a key member of equine sector development bodies as well as maintaining her professional registration as a HCPC Paramedic and offering her skills to cover equine events throughout the UK. Dawn has been on the register of BHS instructors since 1990 and regularly attends refresher courses and seminars to maintain the requirements of the register. During the last 19 years Dawn has taught at pony club rallies, camps, she trains and examines up to B test level. 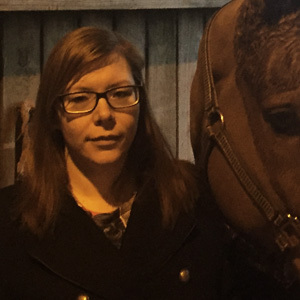 Dawn is on the Puckeridge Hunt western Pony club committee as a test coordinator, she is also currently on the committee for Stevenage and district riding club where she runs a two day camps for the adult members. 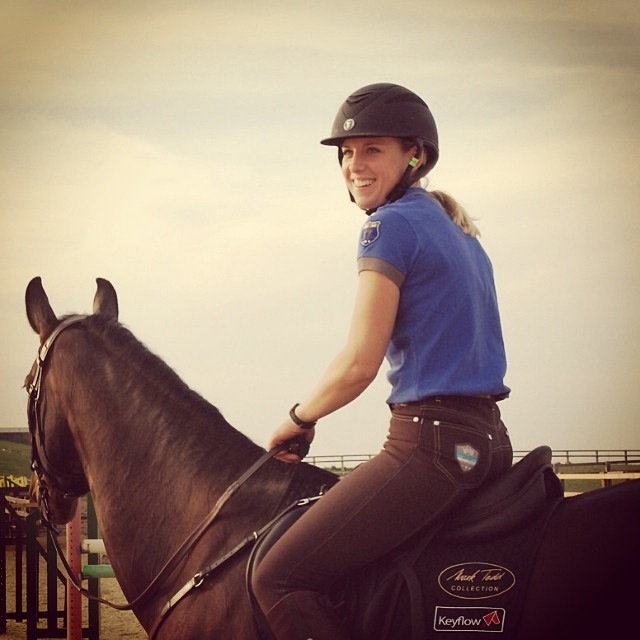 Prior to studying for her AI exam she was a member of the PWPC pony club for several years and represented her branch in SJ, eventing and dressage. In 2010 Dawn qualified and competed her horse in the Mitsubishi grassroots Championships at Badminton. Following her attendance on a Medi-K course Dawn was inspired to become a first aid instructor and offer courses on our behalf. Caroline is ex- army serving from 1977 to 1990 with the Royal Military Police. When she left the military she started a new career, via an interesting detour with retail security and Channel 4 TV, in health and social care. She started as a support worker but worked her way up to care manager and then stepped sideways, and slightly backwards , into training since delivering training is her real passion. Caroline just likes to share knowledge and help people keep them selves and others safe. Caroline trains across a wide range of first aid related subjects, from outdoor activity to paediatric, AED, and even first aid for dogs. 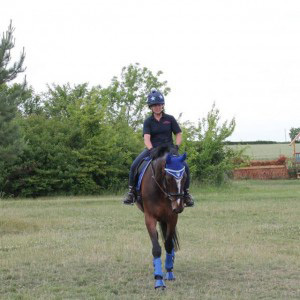 She has ridden since she was 7 years old, and whilst she doesn’t get to ride as often as she would like these days, she is still involved , via friends with horses and through her local riding for the disabled. She can recall many spectacular falls from my cross country days and she is always grateful that someone knew what to do for her…who knows what the outcome may have been ? For Caroline this was an opportunity to broaden her portfolio but also, and more importantly, pay back the excellent first aid care she received by sharing my knowledge and skills. I have been a fully qualified teacher for 8 years, and delivered a wide range programmes in school, colleges and private companies. Medi-K is an outstanding training provider and it a pleasure to be an instructor for such a fantastic organisation. Get ready to have some fun, our courses our not typical or generic First Aid courses, they will truly raise a strong awareness of the latest methods in which to promote safety and wellbeing. Sue comes from a village in Wiltshire and has been living in Staffordshire for 18 years and has had an interest in horses her whole life. 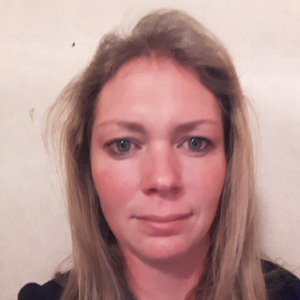 She took a leisure course at college and did her FAW Qualification as part of it back in 1989, since then has had many jobs in the leisure industry and now works full time teaching and training Lifeguarding and First aid for the School of Physical training at Royal Air Force Cosford. Sue is also a keen fitness instructor working at various Gyms teaching fitness classes part time (Body Combat, Body Pump and Spinning). Having been a First Aid at Work instructor for the best part of 15 years, she decided to start working for Medi-K and thinks that you couldn’t have a better combination than equine and first aid skills/knowledge, knowing how to deal in many types of emergency around a busy yard has come in handy over the years. 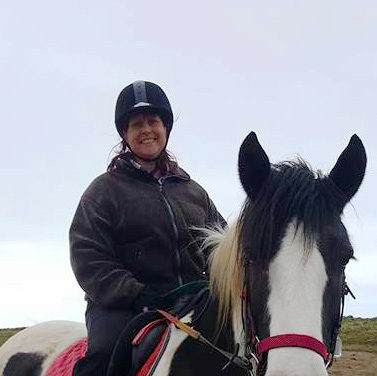 Having been riding for many years, Sue’s love of horses and animals is clear to see and currently owns a beautiful coloured called Danny and a labradoodle called Jazzy. Her enthusiasm is clear to see, also her infectious smile and sense of humour will make for a relaxed and fun learning environment when you complete your First aid courses with Medi-K training. 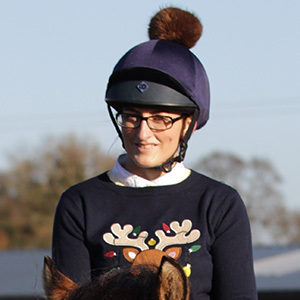 Claire grew up riding as part of her home-schooling living on a farm, riding every Wednesday afternoon in the rural countryside of Suffolk. She took to riding again as an adult a month after having her second child, but just 8 weeks later fell and fractured her spine. Claire’s instructor was first aid trained and did all the right things: called an ambulance, stayed with her, kept her warm and immobilised and reassured her. Years later, Claire began working as a Matron at a boarding school, and spent more and more of her time doing first aid. She began teaching first aid to her colleagues, and branched out to running other courses locally. She also volunteered as a Community First Responder with East of England Ambulance Service attending Red 1 and Red 2 calls in the local villages. 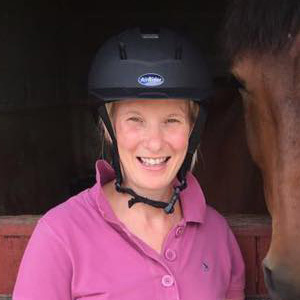 Claire knows first-hand that first aid saves lives, and riders see the most serious of accidents: head and spine injuries, kicks to the head and torso, broken bones and dislocations. Learning equine-specific first aid not only saves lives, but makes riders and instructors more confident and safer to be with. 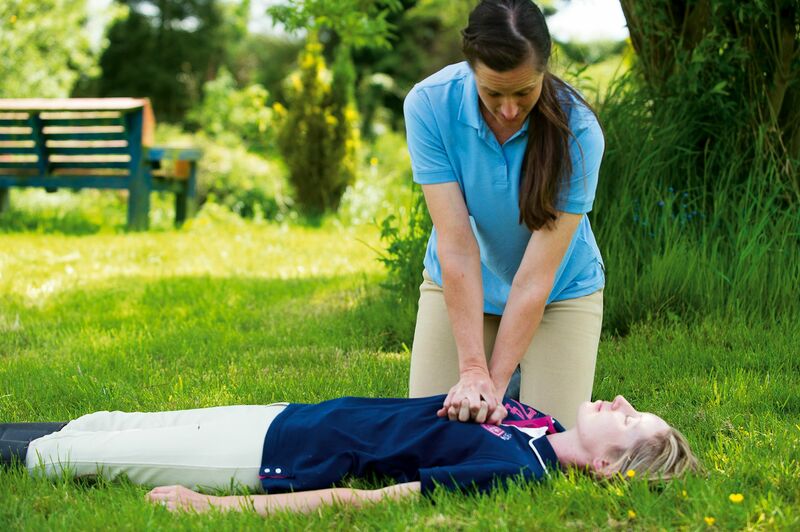 Taking part in a Medi-K first aid course gives solid, experienced equestrian first aid training that will undoubtedly come in handy around the fields and stable yards. 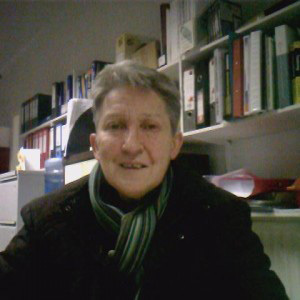 Annette is a trained nurse and experienced first aider. 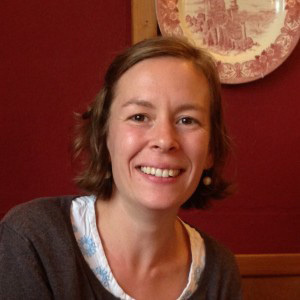 She has extensive experience of delivering first aid in a number of situations, including whilst working at an International Airport. It was whilst working within the airport environment that Annette also became an Instructor herself and assisted the Airport Fire Section in delivering first aid and defibrillator training. Annette has ridden horses since the age of 11 years after nagging her parents for riding lessons and understands the many safety hazards surrounding the sport, especially after a close family member fell and suffered a serious spinal injury. 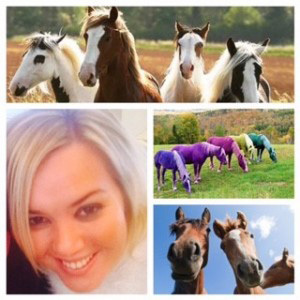 Together with these experiences, and medical knowledge, Annette is passionate about first aid (and horses!) and believes that everyone should have easy access to first aid training. Annette has been instructing for Medi-K since November 2015 and was introduced to Kay through another Medi-K instructor. The combination of being able to deliver First Aid training to horsey people seemed too good an opportunity to miss - combining two of her greatest passions at the same time! 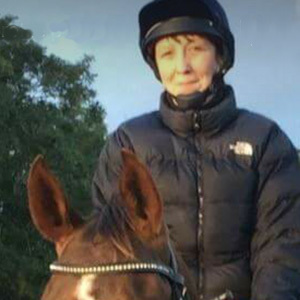 Whilst visiting a variety of settings from pony clubs to racing stables as a Medi-K Instructor, Annette has also been able to develop her own equestrian knowledge as well as get to know a lot of people in the equestrian field. Anyone considering doing a Medi-K course? If you are worried that you will be sat on a course bored to tears, think again! We make the courses fun, and depending on the location / environment in which we teach you, you might find you are practising CPR in the back of a horsebox for example! Medi-K courses are specifically designed to meet the needs of any person in the equestrian field looking to further their knowledge in First Aid, yet learning the basic skills that individuals can use anywhere if needed. Believe it or Not I've been in the Military for over 22 years and in that time I've taught First Aid on and off. I've also covered as a medic on a number of Military Exercises. My first Passion is Horses and from an early age I was hooked. Untold lessons and nagging my parents I wanted a pony. They gave up in the end and I was aloud to have my first Pony at 14 years age. Worked at a number of yards, then join the Army, got married and had children. Then in 2013 I decided I needed a horse in my Life... Husband said No as they do!!! (But we now have 3). Getting these guys was a life changing thing and was therapy to me as I was also diagnosed with breast cancer that same year. We have an ex Race horse called Poppy my baby lots of highs and lows with this mare as she had grade 4 ulcers and managed to fall in to the wrong hands after Racing. It has taken a very long time to fix her but she is the most forgiving, caring horse I've ever met as well as scariest at times. Then there's the Thug!!!! (Husband Horse) Blaze or known as Houdini!!! (Do I need to say any more...) He’s a recue pony and loves FOOD, Lots of attitude; he reminds me of Kevin the teenage from Harry Enfield. Last but not lease is little Hormonal Lilly My youngest draughts pony. Cracking pony when not in session!!!! Super glue is required at around this time. After having 3 horses and tested in so many different ways I decided to do my BHS stage one and work towards 2 and 3. I hope to do equine science in the further. What made you choose to become a first aid instructor trainer For Medi-K? Michelle Emerson!!! I was on the NUCO first Aid Instructors' course she was running. She was an inspiration and fired the passion I have for teaching. She told me about Medi-K and the equine side, two things I’m very passionate about. What would you say to someone considering doing a Medi-K course? All knowledge is good knowledge, especial if it could save lives. At Last someone is running First Aid courses aimed at Horse and riders and what to do in this situation... I'd recommend anyone horsey or non horsey to learn the basics. I have been involved with horses for over 30 years. I have experience of working with all sorts of horses. I have a degree in Equine Studies and various BHS qualifications. I have been qualified as a Paramedic for over 12 years and I qualified as a First Aid Instructor in 2016. Over the years I have seen many instances where a little knowledge of effective first aid can make life saving differences. I have often witnessed members of the public who "freeze" and panic in a crisis and I firmly believe that knowing what to do and being able to make a difference empowers people in a situation where they often feel helpless and helps them enjoy their riding activities even more. Riding and being involved with horses in general are high risk activities and I would strongly encourage anyone involved with horses to take a course as you just never know when your skills might be called upon. I am passionate about first aid and I have known Kay, the founder and Managing Director of Medi-K ever since I joined the ambulance service. I decided to become a first aid instructor trainer for Medi-K because we share the same passion for first aid and horse riding activities. 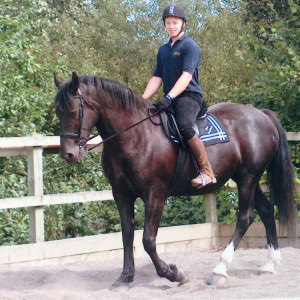 I rode through my teenage years on my cousins horses and lessons at my local riding school, but was advised to stop when I started to develop severe back and hip pain at 18 years old. I was later diagnosed with ankylosing spondylitis, which causes inflammation in my joints. After missing out on many years of my love of horse riding I decided to take it up again at the age of 34, five years later I am the proud owner of two beautiful ponies. Sheeny is now 22 and enjoys steady hacks through the woods. Katie is now 12, a highland pony from Aberdeen who was originally a broodmare. She had only just been backed when I bought her at the age of 9. We have steadily bought her on over the past three years and enjoy local shows competing in showing and dressage. I have been a first aider on and off throughout my working life and decided to take the instructor qualification in November 2016. Teaching first aid in the environment I love (horses) made perfect sense to me. I can see different yards, businesses and meeting like-minded people is very interesting. Working and being around horses can be dangerous and being able to teach people the confidence and right skills to help in an accident is very rewarding. If you work in the equine industry Medi-K provides a fun and informative first aid course which relates to real life incidents that you may face. This year Medi-K training are sponsoring Franky Reid-Warrilow an International Event Rider and Producer of Top Quality Competition Horses who is coming up to an exciting time in her career. Based at her parents’ home on the borders of Herefordshire, Shropshire and Powys where her facilities for producing top quality competition horses are second to none she has begun to carve a successful career for herself on the International Eventing circuit. As well as eventing full time and producing young horses Franky also enjoys coaching riders at all levels and in all disciplines. Franky is very lucky to be trained by World Class competitors and trainers, Charlotte Dujardin for the dressage and Major Richard Waygood and Sir Mark Todd for jumping. This means that she can pass on this depth of experience and knowledge onto her clients. Medi-K are looking forward to the opportunities this sponsorship can provide. 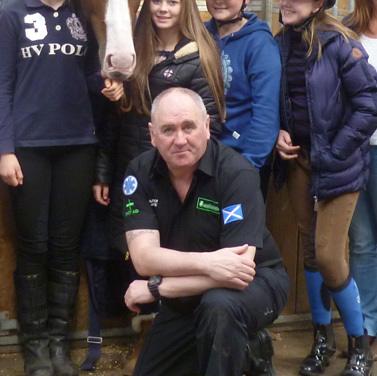 The equine audience is one which Medi-K has always engaged with well and they are proud of being a specialist training provider which provides rider first aid training qualifications to the equine industry. Franky was selected to represent Great Britain at the CIC2* European Championships on Dolley Whisper, however 3 weeks before, she had a rotational fall and broke her hip whilst xc schooling. Her determination enabled her to be back competing at the Festival of British Eventing at Gatcombe in the Intermediate Championships just 6 weeks later. Franky has just finished the 2014 season with her first International win in the CCI2* at Weston Park and he has started this season off by winning the CIC2* at Somerley Park. She is planning to go to Saumur CCI3* in May and Pau CCI4* in October. This is proof of Franky’s passion and drive to succeed and will be sure to carry her to the top of her sport.